When you book you will asked to tick your preferred site location. Some zones are extremely popular and over subscribed. Selecting an A, B, C, E, F, G preference when you book does not guarantee that you will be allocated a stall site in that zone. The local businesses have first priority (outside their Shop or Restaurant) and only the earliest bookers and repeat returning stall holders who book and pay promptly are likely to be allocated the available sites in the most popular zones. Please don’t be disappointed if your stall is not in the zone you selected. Many of the stall holders not in the main street have a great fairday and are very happy with their spot. We have some themed areas based on type of product, and big stalls can only fit in certain places. Most food stalls are clustered together in one of the 7 different food areas. Generator locations for the supply of power to your stall and also closeness to hand washing (for food stalls), also influence the sites we can give you. Due to the number of stall bookings and pressure on space, we might not be able to take multiple bookings from the same outlets in 2017. If you want multiple sites for the same product we may need to wait-list your extra bookings. Taking all these factors into account, our stalls team then allocate stall sites based on when you paid for your booking – booking early only helps if you also pay early! If you want to pay by instalments please get in touch, and we can organise this with you. There is a box on the booking form labelled “Preferred Locations, Site Requirements & Comments” there you can explain why your preference is important, and also tell us your second choice if your first choice isn’t available. 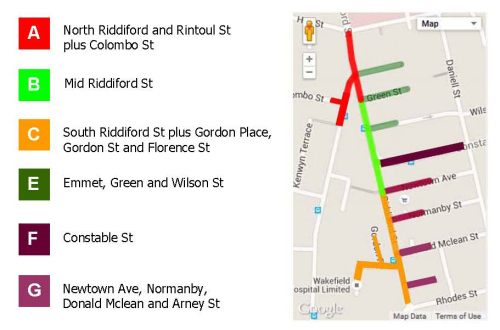 Food stalls often ask to be in Riddiford St, particularly zone B. However although there are a number of food stalls in this zone they are local businesses opening outside their own premises. 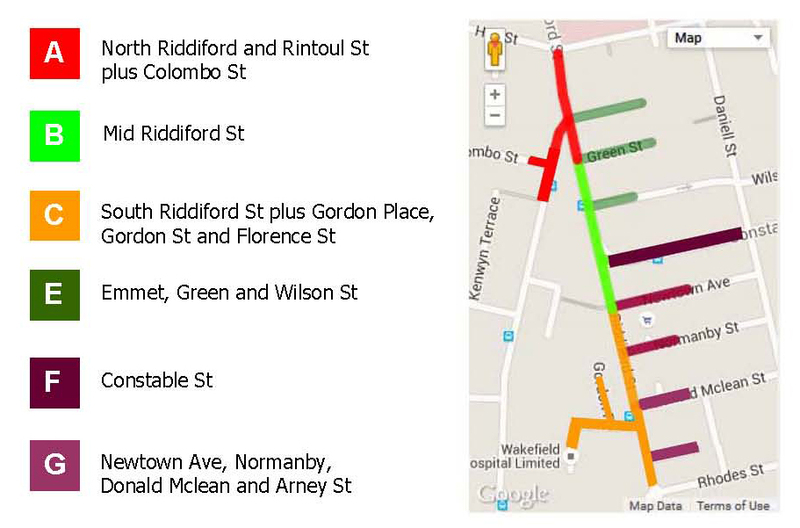 Other food stalls are mostly grouped in food precincts – Emmett St, Rintoul St, Wilson St, Constable St, Donald McLean St. There also a few in Newtown Ave, and South Riddiford. If you need a power supply this limits the choice to areas where there are generators. 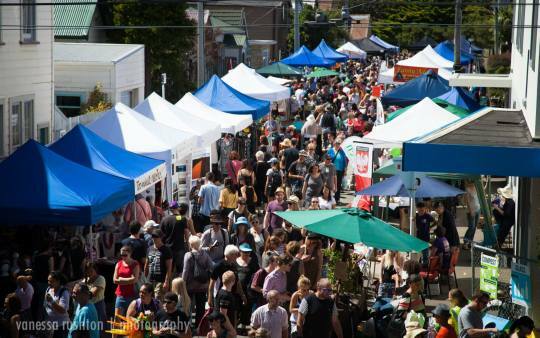 The generators are in the food precincts, and in 2016 there was also a grouping of non-food powered stalls in Constable St.
Emmett St is exclusively a food precinct. Stalls stop trading at 5pm and Site Marshals walk stall vehicles back into the crowded site, this is a slow process. Wilson St hosts the Wilson St stage, where the bands go on playing until 8pm – it is a good spot for stalls that are happy to stay open late. Emmett St, Newtown Ave and Donald Mclean St also have stages which play on into the evening so stalls there can trade till after 6pm.